Which actor will play Nigel Farage in UKIP Drama? Channel 4 are planning a “mockumentary” based on the early days of a UKIP government. 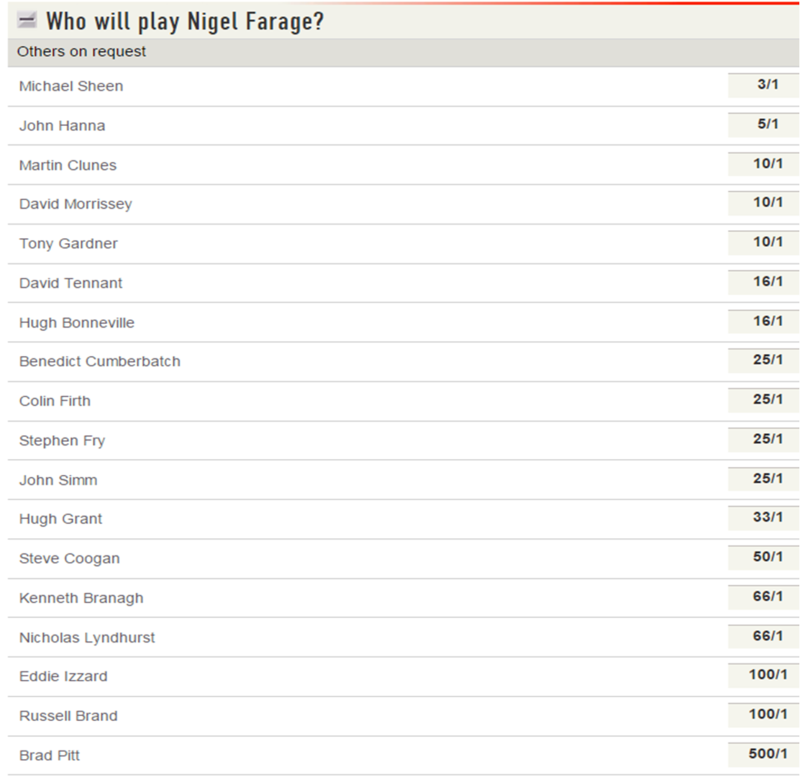 So, naturally, we’ve knocked up some odds on who will play Farage. I don’t really have much more to say, but if anyone has any good suggestions for other possibles, post them here and we’ll add the best ones to our betting. You can find the latest odds on this one here. Newsnight ran a good piece yesterday explaining some of the problems with forecasting the next general election, including a very interesting contribution from Chris Hanretty from the UEA. You can find his excellent forecasting site here. One of the best features of Chris’s model is that it produces precise probabilities for each party to win each seat, which we can compare to Ladbrokes’ constituency odds. I haven’t been through every seat, although I have had a good look at the Scottish ones already, because his forecasts produce some startling results there. If you like his approach, then there are some fantastic bets to be had, all on the SNP. Here are just a few seats I picked out with the Ladbrokes’ SNP odds and those suggested by the model. Before piling in to the prices, it’s worth having a good look at the FAQs on Chris’s site. They are completely open that the local performance of the Liberal Democrats is a major source of uncertainty, and I think that has caused a lot of the differences above. 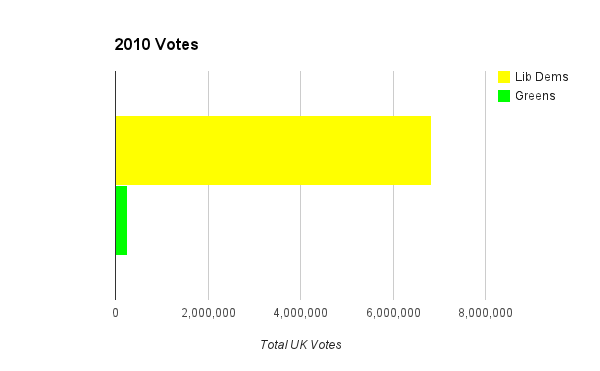 For example, in 2010 the SNP finished 51% behind the Lib Dems in Orkney & Shetland. I don’t think many people would be in a hurry to take 11/8 about them turning that around. As they point out on the site: “We are not gambling on the basis of these predictions”. 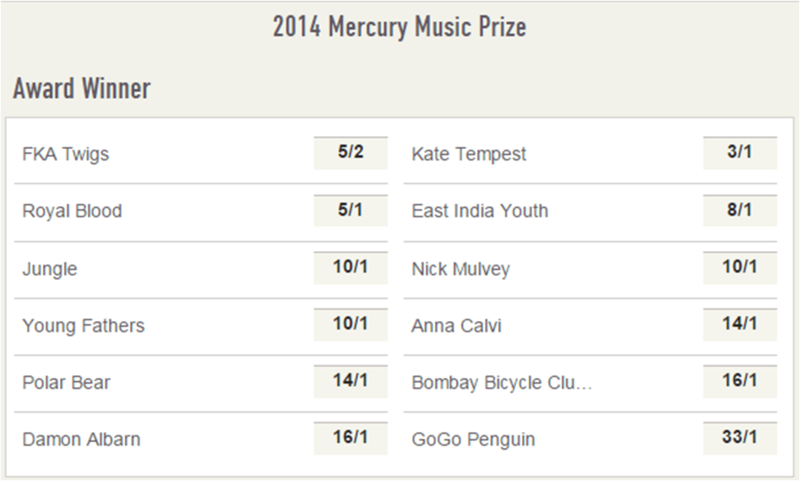 Tomorrow night we’ll find out the winner of the 2014 Barclaycard Mercury Prize for album of the year. As the betting suggests, it’s wide open and I could even give the 33/1 outsiders GoGo Penguin a chance. There are a few punters with some very nice bets running. FKA Twigs were backed in from 33/1 and Kate Tempest was available at 50/1, so Ladbrokes will be hoping neither of those win. 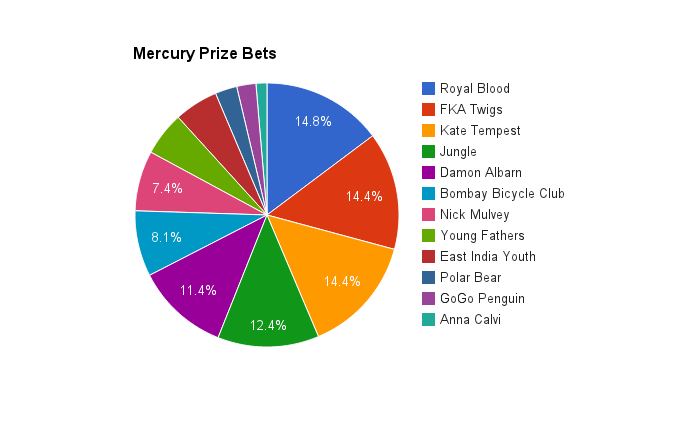 In terms of numbers of bets taken, Royal Blood have just about topped the list so far, closely followed by FKA Twigs and Kate Tempest. Anna Calvi has been the least popular choice of punters. Having listened to most of these, there are four albums that I’m going to predict won’t win. The judges usually try to pick something that moves music forward and that is in some way musically representative of the year in which it was released. On that basis, I don’t fancy Jungle, Nick Mulvey or Royal Blood very much, which isn’t to say they aren’t good albums; I just don’t think they fit the bill. I would also be reasonably surprised if Damon Albarn won, as I think it would be a bit odd to give the kudos (and a £20k cheque) to somebody who doesn’t need it. Looking back at the betting over the last ten years, four of the winners were either favourites or joint favourites with Ladbrokes on the day. The only huge surprise was actually last year, when the last price we had on James Blake was 33/1. A 13% lead for UKIP saw their odds contract from 1/3 yesterday to 1/5 this morning. Not a particularly surprising result, as the Survation poll three weeks ago gave them a 9% lead and UKIP’s national vote share has been rising in the meantime. It seems that this poll was commissioned by a UKIP supporter, I guess that will cause some scepticism among certain people. I remember UKIP supporters dismissing a Lord Ashcroft poll for the Newark by-election because he was “bound” to favour the Tories. Nonsense of course, but I suppose it is worth asking the question whether this poll would have seen the light of day had it been less encouraging for UKIP. If we only ever see the “good” numbers, then privately commissioned polls will tend to give us a misleading picture. Nate Silver has written about this subject in relation to US elections. You can find all of our latest odds here. With it now being odds-on that we have a hung parliament next year, some are now speculating on the chances of another election having to be called pretty swiftly. There would really only be one stable option here to get to a majority of 326; a Lab/Lib coalition (currently a 5/1 shot with Ladbrokes). What happens now? Con+LD+UKIP gets to 325, but that doesn’t seem all that plausible or stable an arrangement. 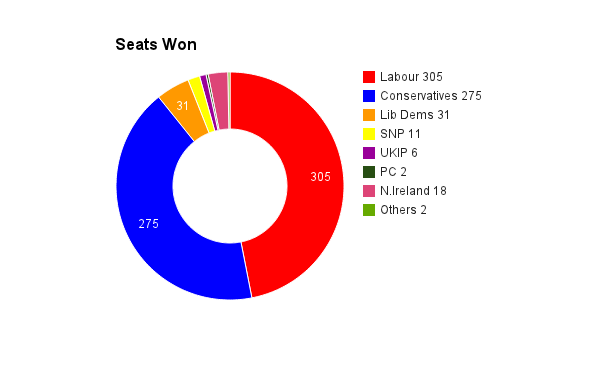 Lab+LD+SNP gives 329 seats, although if the SNP continue to abstain on English only issues at Westminster, that might not work either for a lot of legislation. Maybe some Northern Irish MPs and Plaid Cymru can be persuaded to prop up such a government, but it wouldn’t be a smooth ride. Anything close to this sort of result could easily lead to a fresh election, although Steve Richards thinks that the Fixed Term Parliament Act makes it unlikely, however complicated the maths is.